Star Frappe: Frappe and Coffee Shakes Franchise- What is more appealing to this fascinating drink is that it can be altered to change into another form without taking away its original taste. And frappe is one form that easily smacked everyone’s palate in an instant. Just like that. To simply describe it, a frappe is just coffee on ice. Specifically, it is blended, shaken or beaten to create a refreshing caffeinated cold drink. Sometimes a whipped cream and other toppings are added to make it tastier. Together with good friends around and animating stories to share, this will make the coffee experience more fun and exciting too. There is a fruitful way in just making and drinking coffee. This thirst-quencher can also be a worthwhile investment especially if you have labeled yourself as a certified coffee enthusiast. Aside from concocting this beverage within your reach, coffee is currently the most popular lingo among people of all ages. Ironically speaking, even teenies is a growing market itself specific to coffee frappes and shakes. How interesting could that be? Indeed times have changed. Coffee is now for everybody, young and old. The word frappé is French and comes from the verb frapper which means to ‘hit’; in this context, however, in French, when describing a drink, the word frappé means chilled, as with ice cubes in a shaker. 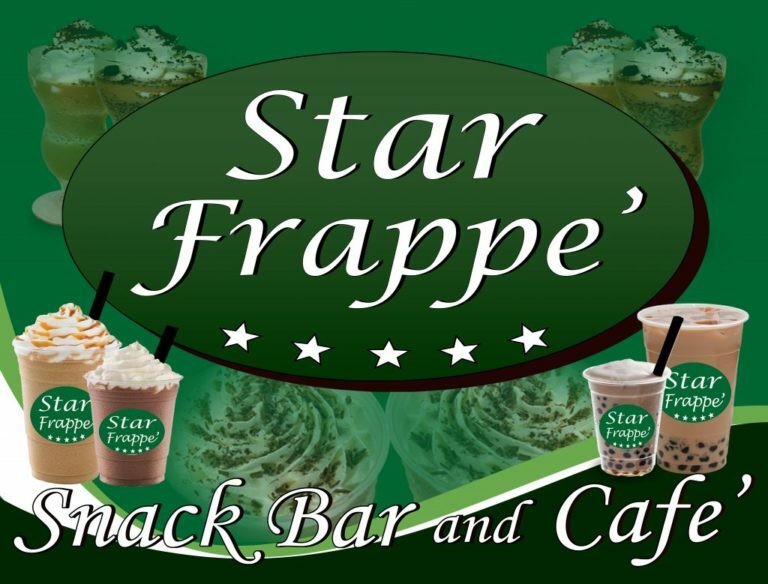 Moreover, if you want an easy way to make this cold drink available to the community instantly, franchising a our Star Frappe Snack bar and cafe is the ideal way to start it. It is less the hassle and stress than by crafting everything from scratch.